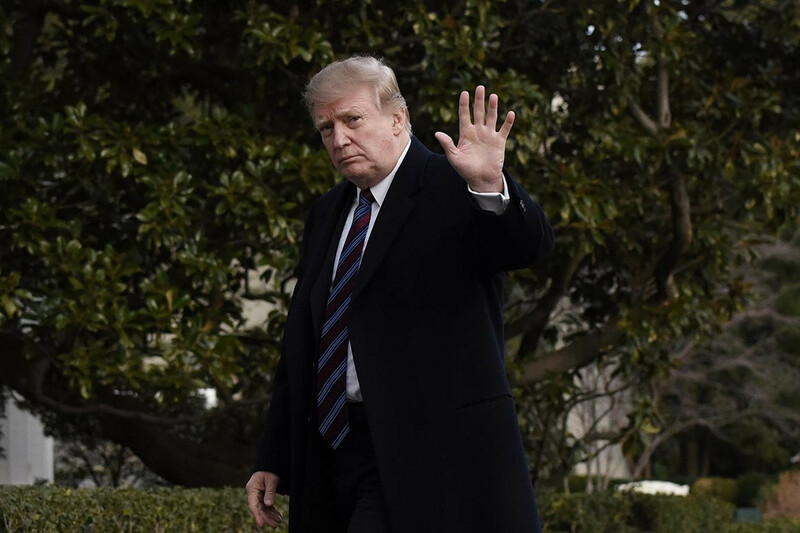 President Donald Trump and his aides tried Monday morning to pin blame on Democrats after border security talks broke down over the weekend, sharply increasing the risk of another government shutdown at the end of the week. Democrats argue that limiting the number of beds for those in Immigration and Customs Enforcement custody could force the agency to prioritize targeting more dangerous immigrants living throughout the U.S. and not just those crossing the border illegally, while also cutting back on local deportation raids that have led to some liberals demanding the agency have its funding cut altogether. “He’s waiting for a bill to come to his desk he can sign into law. You now have the conferees, bipartisan conferees arguing about beds and barriers,” she said, though he has been in contact with members of the conference committee. The breakdown comes as lawmakers headed into the weekend with optimism regarding negotiations, with some suggesting a deal could have been struck by last Friday and others declaring that there were slim odds of another funding lapse come Friday at midnight. Conway also pointed to an agreement with Mexico to allow some migrants to stay there while they waited for their asylum claims to be processed. “But people should know, especially the people who went to the border and complained there weren’t enough beds, we want more beds, they want fewer, because they want more people to come into the United States of America,” Conway claimed. Though the number of ICE detention beds are the latest sticking point in the efforts to head off a shutdown, lawmakers still cannot agree on the finer points of a physical barrier along the U.S.-Mexico border. On Monday, Conway called for a spending bill with “a physical barrier as the centerpiece” and noted that Trump will head to the border later Monday for a rally in El Paso, Texas, to continue his push for a wall.